Cryptocurrencies are becoming increasingly popular and with more of us investing in them, it is now important for us to understand how they are taxed and the ATO’s view on these. • the cost of them are used to pay for the transaction is less than $10,000 (this is the exemption for personal use assets). 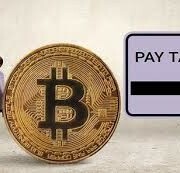 If the cost of the crypto used in the transaction exceeds $10,000, the personal use exemption will not be available and CGT will apply. The capital gain will be the sale price less the purchase price. If you are buying and selling cryptos, then your profits will be treated as assessable income. If you are paid in cryptos for goods or services provided as part of a business, you will need to record the value in Australian dollars as part of your ordinary income for tax purposes. The value in Australian dollars will be the fair market value which can be obtained from a reputable exchange. Similarly, when you use cryptos to purchase items. In simple terms cryptos are treated much like shares. If you are buying and selling then it will be assessable income, if you are buying and holding for the long term then you will have a CGT asset. To Brad and your team, You have been looking after mine and my partners personal and business taxation for the past three years...S.LAWSON - Baulkham Hills.